Our sun has been spotless for almost a week now but that doesn't mean it has gone to sleep. Earth is entering a stream of solar wind today at speeds of over 600km per second from a northern coronal hole in the sun's atmosphere. The stage is set for a possible G1-class geomagnetic storm. 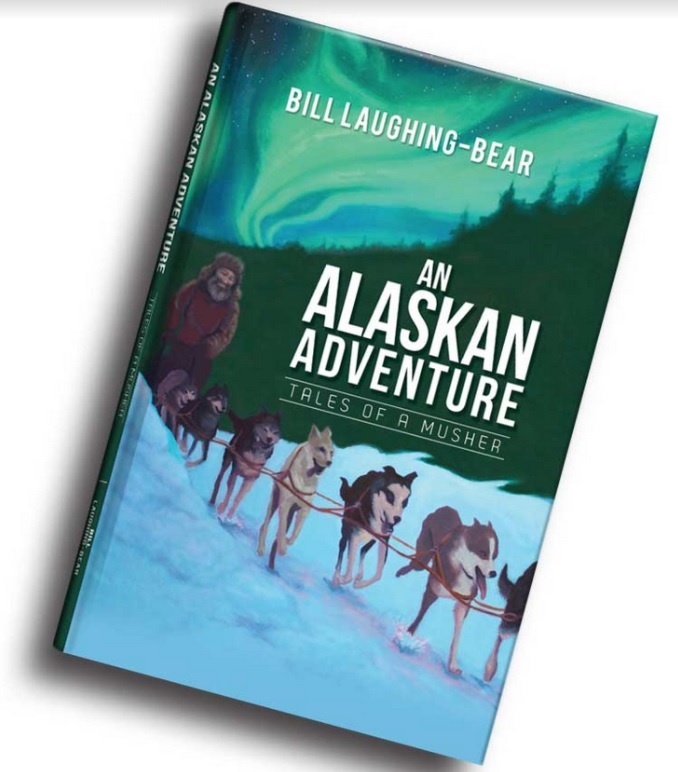 Sky watchers in Canada and Alaska should be alert for auroras as night sweeps across North America on March 9-10. 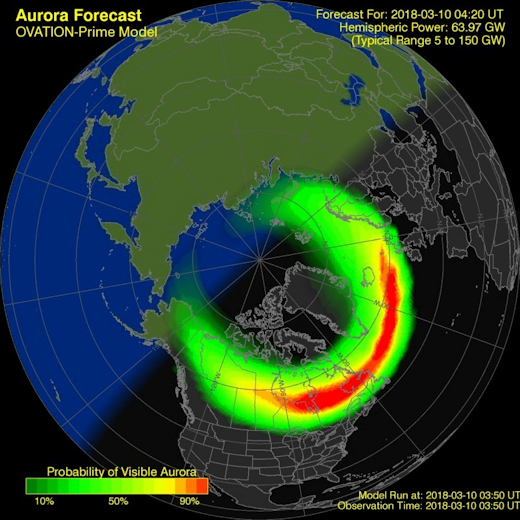 NOAA is predicting bright auroras as far south as Maine, The Great Lakes and Scotland and Denmark in Europe tonight, see the map on the right. 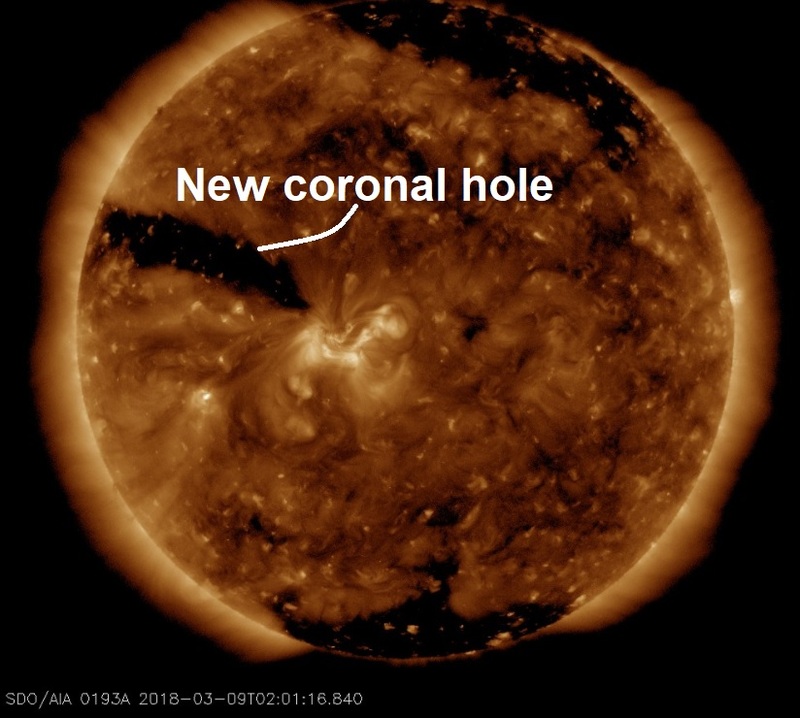 The northern coronal hole in the sun's atmosphere has now turned away from facing the earth but another enormous hole in the sun's atmosphere is turning towards us and can be seen on the sun's western limb see below. Of the 26 major quakes reported this year, 25 of them have occurred during coronal activity on the sun, so it should come as no surprise if a major quake or two are recorded in the coming days.